Late summer brings thoughts of school, noticeably shorter days and that preautumn feeling that change is in the air. Summer’s end is always bittersweet, but one bright spot is its abundance of spectacular fresh vegetables—especially tomatoes! Homegrown, freshpicked tomatoes—packed with sunshiny sweetness, bursting with color and juiciness—simply don’t hold a candle to those available the rest of the year. But how to use them, especially if you grow your own and have a bumper crop? It just so happens we have a have some suggestions for you (Surprised?). There are so many varied and delectable ways to use tomatoes that we promise you won’t get tired of them. In fact, you’ll be craving these dishes until tomato time rolls around yet again next year. We’ll start simple, using the tomato in its purest form—sliced and raw. Put a slice of uber-fresh, perfectly ripe tomato on our Chicken Filet Sandwich, and your taste buds will do a happy dance. 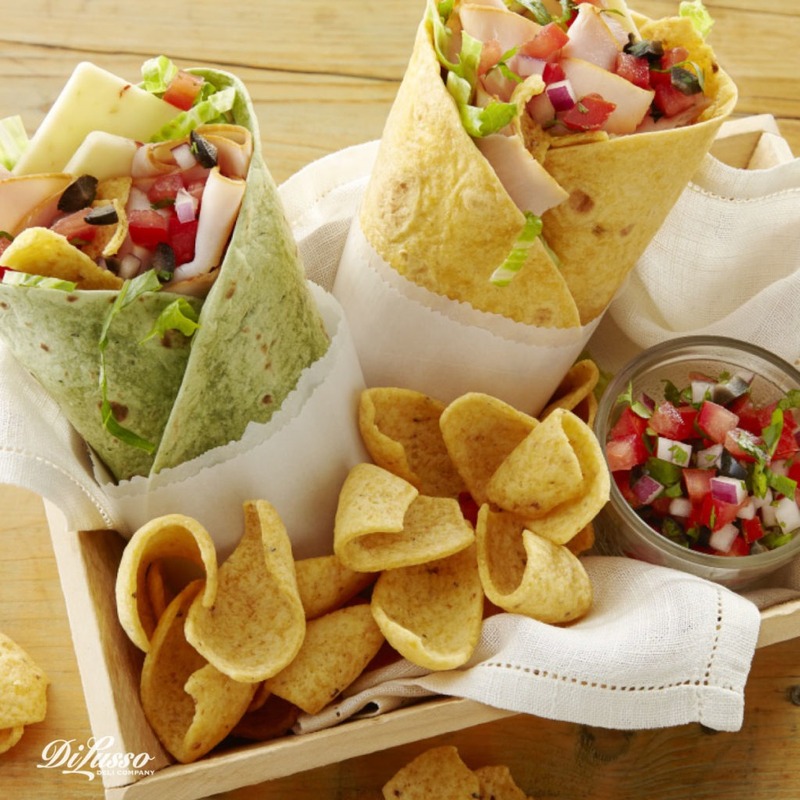 Using the very freshest tomato in our Turkey Tortilla Crunch Wrap, filled with DI LUSSO® Mesquite Turkey and Pepper Jack cheese, chopped veggies, cilantro, sour cream and crushed corn chips, will make every mouthful an extra-special treat. Grill or bake some Grilled Stuffed Tomatoes. Simply place overlapping slices of big beefsteak tomatoes in a baking pan (if using oven) or a shallow disposable foil pan (for the grill). Sprinkle with finely chopped DI LUSSO® Pepper Jack cheese, finely chopped sweet peppers (any color, or a mix) and toasted sliced almonds. Bake or grill (350° oven or medium-hot grill) about 10 -15 minutes or until the cheese is melted and bubbly. Spectacular! 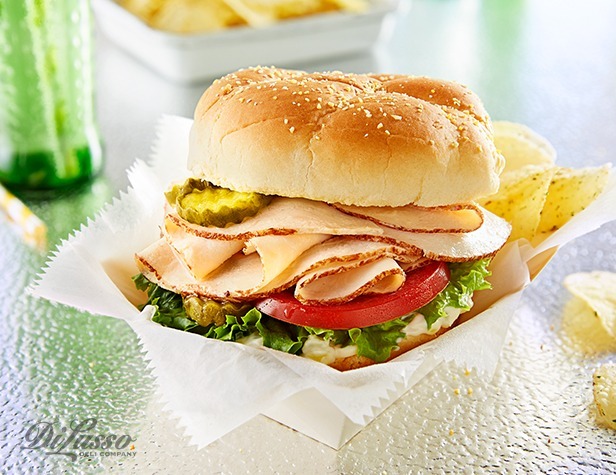 And P.S.—don’t forget to put local, seasonal tomatoes on all your DI LUSSO® sandwiches, on your green salads, with eggs at breakfast (especially good when made with DI LUSSO® cheese, too), or in homemade salsa.